Then you take the fruit and and you squish ’em. You squish ’em. For your peanut, peanut butter and jelly. Peanut, peanut butter and jelly. Earlier this week, we chatted about growing up in the ’90s and my desire for big hair. I figured singing the peanut butter and jelly song would be the most fitting way to wrap up this week’s posts. I promise there’s a connection between the ’90s, big hair, and today’s peanut butter and jelly smoothie. Hang with me, okay? Around the same time I desired big hair, my tastebuds desired peanut butter and jelly sandwiches. Quite the combo! For this reason, packing my lunch was a pretty easy task. In the name of variety, my mom would always ask “What would you like for lunch, honey?” And my response was always the same, “Peanut butter and jelly, please.” I was a polite kid with an intense love for consistency in the form of daily peanut butter and jelly sandwiches. So here I am, at the young age of 30 writing a post on the world wide web dedicated to my big-hair-loving, pb&j-craving childhood. No shame! And while my tastebuds have changed and matured a bit, deep down inside I still love a good ol’ peanut butter and jelly. These days my peanut butter and jelly love looks a bit different than the sandwiches that were lovingly packed when I was six years-old. 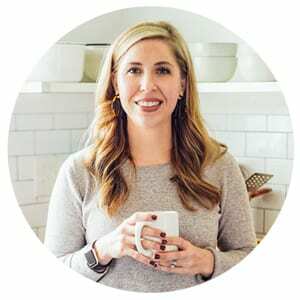 The ’90s have come and gone, along with the processed food (at least in our household–there’s still plenty of processed food in 2015). 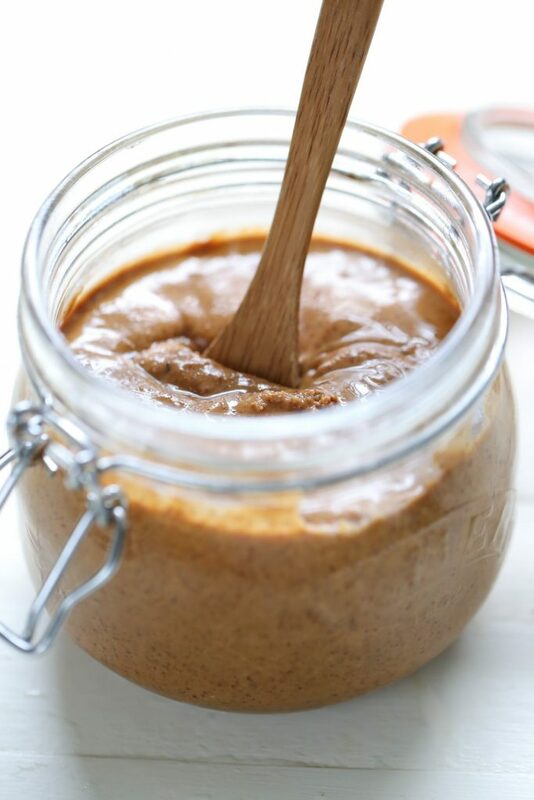 The processed peanut butter made with high fructose corn syrup (a word we didn’t know about back then) and unhealthy oils has been replaced with a one or two ingredient peanut or almond butter. 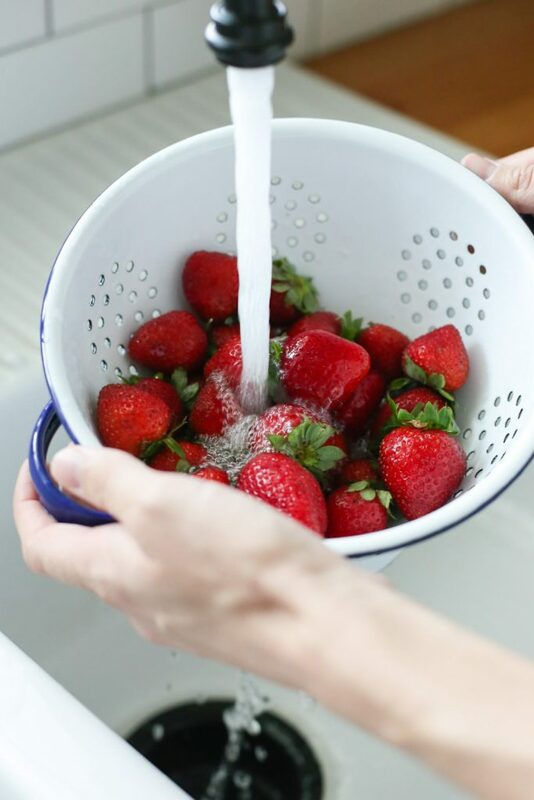 And the artificially-flavored strawberry jam has been replaced with a cleaner or even homemade variety. The bread is now sourdough or whole wheat. Be still my real food pb&j loving heart! 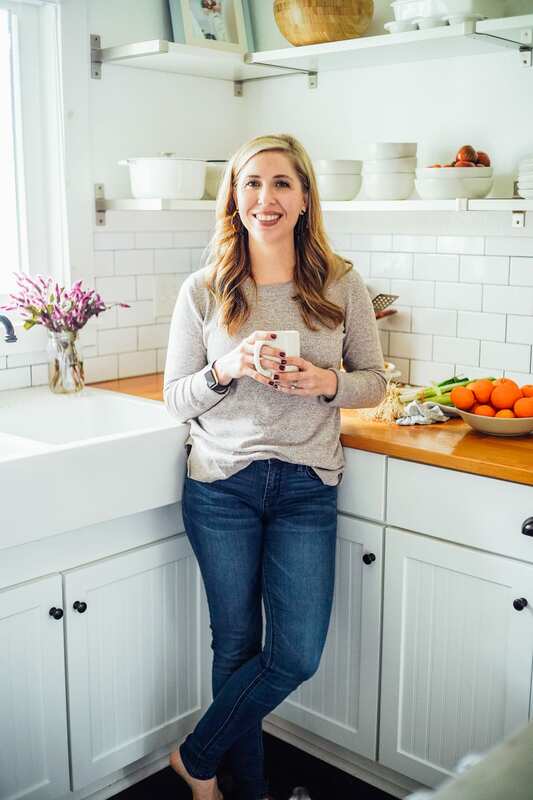 Along with healthier ingredients, I’ve also come to love peanut butter and jelly in more grown-up ways, like cookies, muffins, and smoothies. 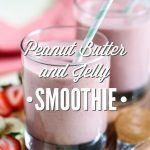 A peanut butter and jelly smoothie is made with simple ingredients, just like the classic sandwich. 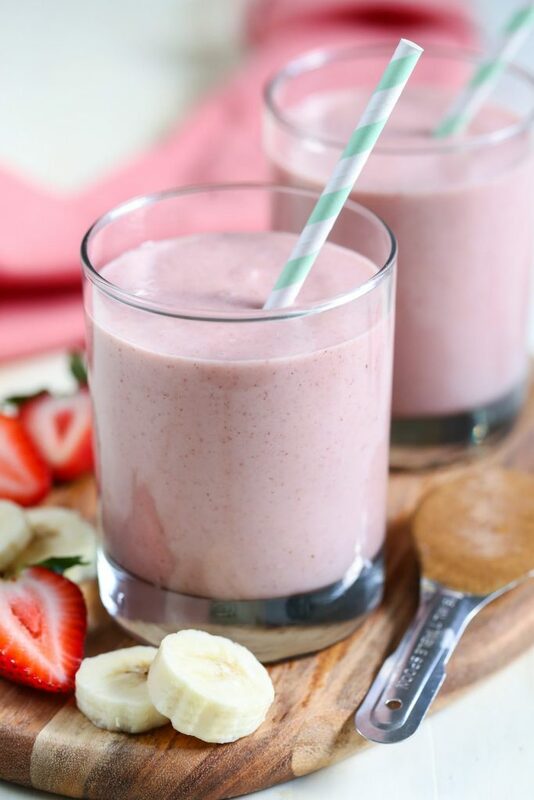 Peanut butter and fruit (strawberries) are blended together to create the classic peanut butter and jelly taste. Bananas are added for sweetness, and milk is added for a creamy and smooth consistency. 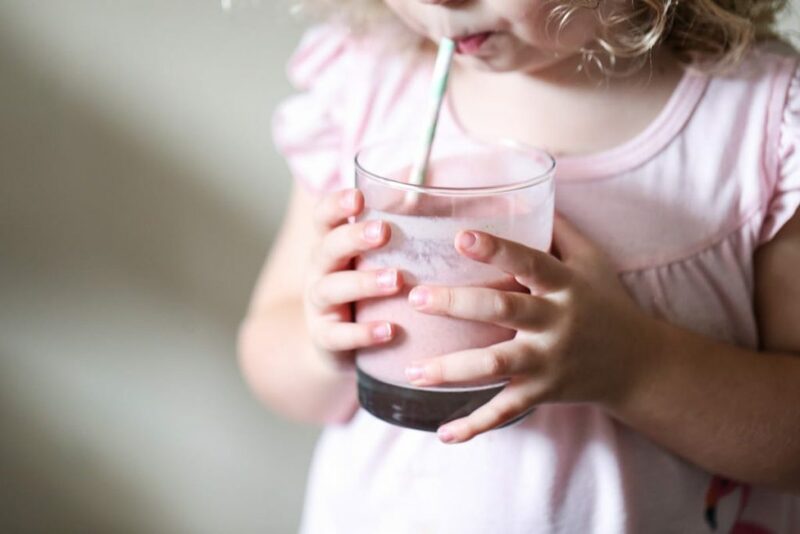 The final result is a mildly nutty and perfectly fruity smoothie that’s healthy and delicious. Simplicity and childhood memories at their finest. 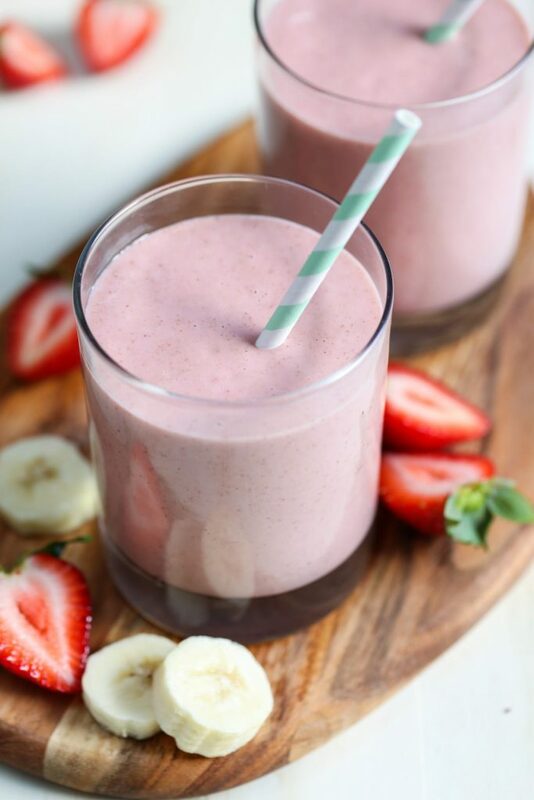 A peanut butter and jelly smoothie is made with simple ingredients, just like the classic sandwich. 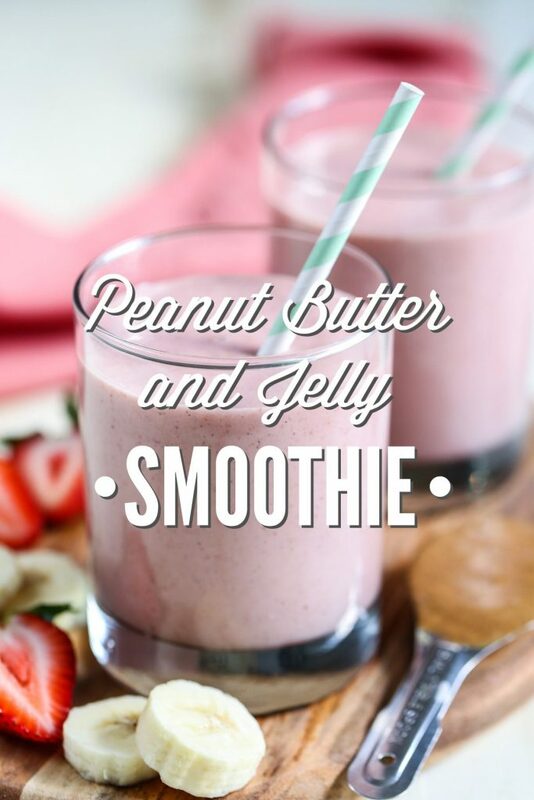 Peanut butter and fruit (strawberries) are blended together to create the classic peanut butter and jelly taste. 2 TB peanut butter any nut or seed butter will work! 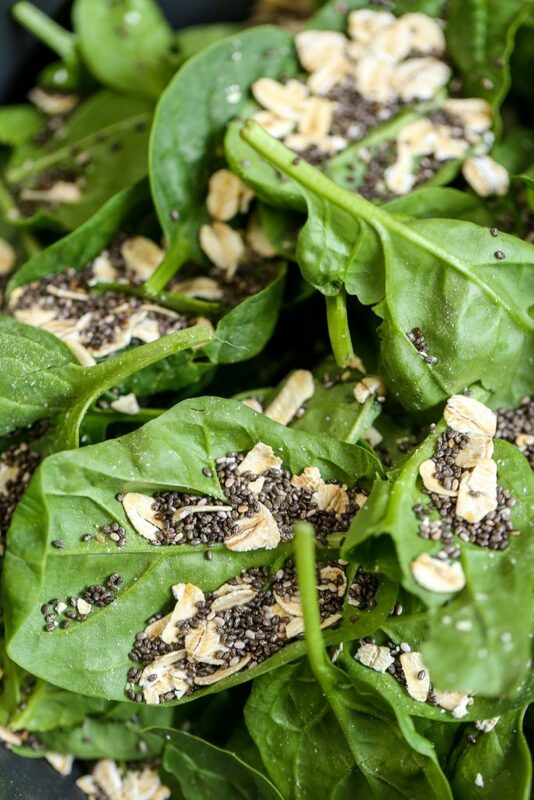 1 cup spinach This ingredient will change the color of the smoothie. 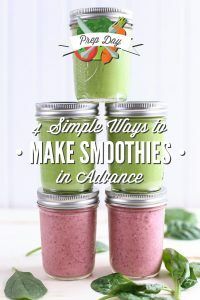 Spinach wasn't added to the smoothie pictured in this post. 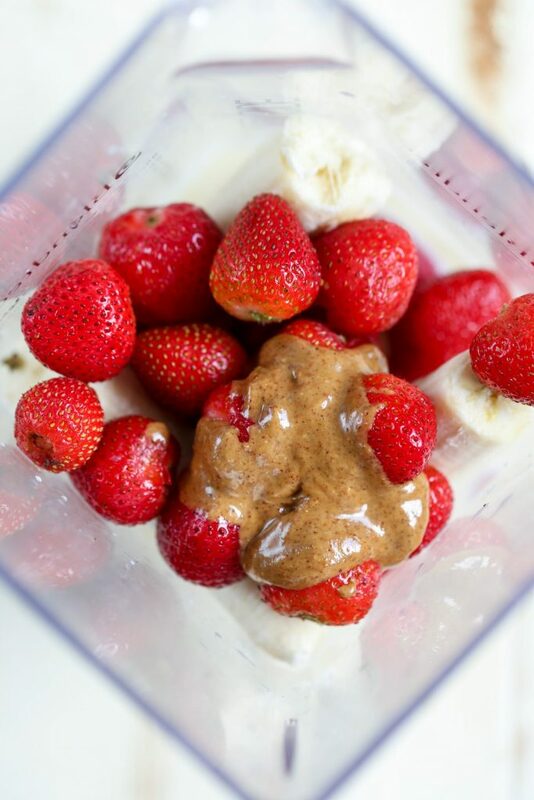 Pour the milk into the base of a blender jar, then add the bananas, peanut butter, and strawberries. 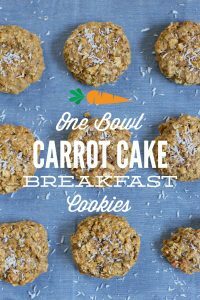 Add any additional ingredients: spinach, oats, chia or flax seeds. Finally, add the ice (if using). 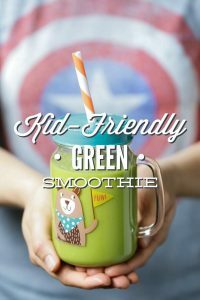 Blend the ingredients together for 40-60 seconds, until combined and creamy. If you omit the ice and use less milk you’ll have “ice cream”! And it too is delicious ?. Thank you for your blog. I get many great ideas here! Yum, Jessica! Such a great idea! I made this today, so good. Question- 326 calories, is that for 2 cups or one cup? Wasn’t sure if the 2 cups or 1 cup counts as a serving? Hey Amanda, That’s for the entire smoothie–all two cups.